Have you learned about Dog Language on our theory evening in the Basic Course 1 and 2, then it is good to have a look in real life. Just a normal walk in the park, as you do every day. What do you actually see when two dogs play. Is it fun or are those dogs aggressive. What do you do with a dominant dog. When is a dog dominant. Do dogs like it when some other dog chases him, etc. etc. What you see, but above all: what do you do as a dog owner! Instructive walks in a group or individually. In the forest, in the park or on the beach. Puzzles for dogs range from simple looking games to real brain teasers. But what is Brainwork for dogs? 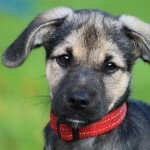 Simply put, Brainwork for dogs is the same as mind games, puzzles and brain-training for people. While puzzling dogs go looking for treats, toys or objects that are hidden in the puzzles. 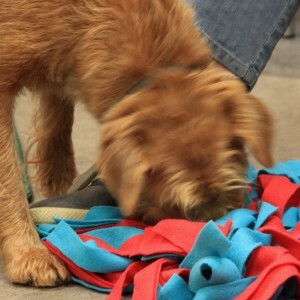 Your dog should smell and look, feel with nose or paw, some puzzles make sounds. So all the senses are triggered and your dog’s brain is stimulated differently. Brain training at the highest level and immensely tiring and a lot of fun! Dates you can find in the agenda. Training in Balance & Coördination gives your dog more feeling of his own body. Balance exercises are a great option to keep any dog in shape and improves core strength. They also improve coördination and reflexes, increase range of motion, improve focus and concentration, and boost confidence. Beginning balance exercises involve standing weight shifting and rocking from side to side on unstable surfaces, advancing to sit to stand and down to stand on unstable surfaces. Because it’s an unstable surface, your dog’s body will automatically react to the surface movement to remain stable. This causes different muscles to engage as the dog works to remain balanced. Trusting your owner and concentration during the exercises become the basis for co-operation. Dogs with some sort of physical issue are suggested to see an dog-physiotherapist first. Together we decide which exercises are best for your dog. Like us on our Facebook page and you’ll be automatically informed of all our workshops, lectures and information evenings.